Rugby, through its constant showing of camaraderie, brotherhood and team spirit, has made its case to be the epitome of team sports. 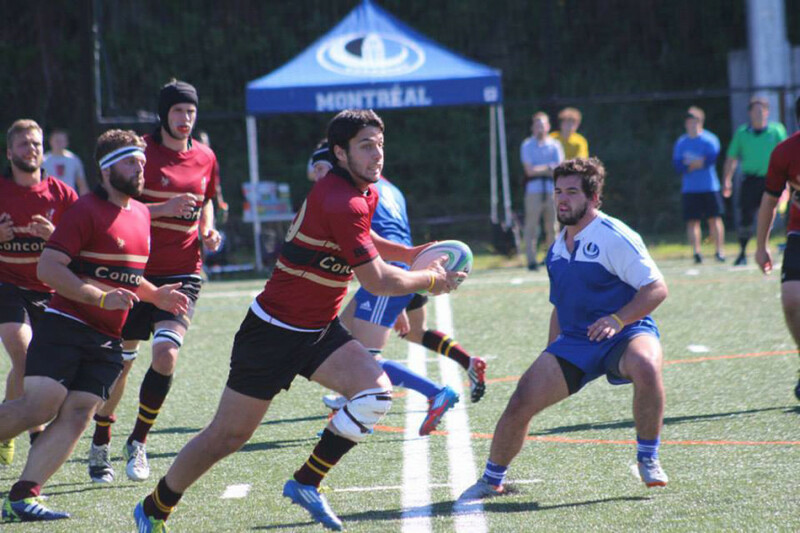 The Stingers men’s rugby team has made good on all of these things, but seems to be lacking in one area, its coach says. But one among the group has stood out as worthy of donning the captain’s armband this season: all-star fly-half Yannick Fortin. Fortin says he is thrilled at his new opportunity. “I’m excited for the challenge coming up this year,” he said. “I bring a lot of, for one, leadership experience. Caleb Jordan, a veteran player on the Stingers’ squad, says Fortin is a perfect fit for the role. “He’s hands down the most skilled and well rounded player I’ve had the chance to play with in my college and university career,” said the winger. Fortin will succeed fellow all-star fullback and 2013 season MVP Joey Fulginiti in the position. Gibson also explained that Fulginiti no longer being captain makes for a significant change between last year’s squad and this year’s team. “I’m not saying Joey’s not a great rugby player, he set records,” he added. Despite this, Fortin intends to work closely with Fulginiti, along with the rest of the veterans on the team. “I’ll definitely speak with him,” said Fortin. “There’s always room to learn from other players. Without a doubt, the biggest of those goals is winning a provincial championship, something the Stingers lost for the fourth straight time to the McGill Redmen last season. Fortin and the rest of the team are dead set on redemption and ending their losing streak.